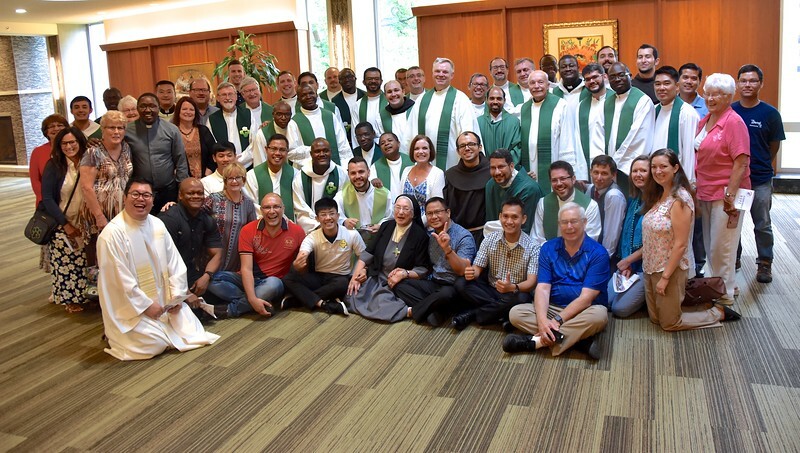 On August 17, students, staff and volunteers of Sacred Heart Seminary and School of Theology's ESL program celebrated a multicultural liturgy; it is the last day of the first summer session. Music from all five continents on which the Dehonians are located were sung; prayers too were shared in many languages. Fr. Praveen Kumar, SCJ, of the Indian District was the main celebrant; he was joined at the altar by Fr. Zbigniew Morawiec, SCJ, SHSST vice rector and Fr. Tom Knoebel, SHSST rector.